Enhance the look of your smile by masking stains, closing spaces, straightening out misalignments and covering damaged or broken teeth with porcelain veneers at Shine Dentists, Gungahlin. 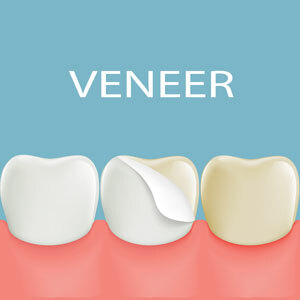 A veneer is an extremely thin, tooth-coloured material that is bonded directly to natural teeth. It’s completed over two visits and allows you to see before and after pictures prior to beginning the procedure.